Please tour NYC or Boston, John. We love you and miss you here in the USA. THANKS JOHN FOR ALL THIS YEARS OF GREAT INSPIRATION!! AND MORE TO COME!! ALL THE BEST FROM MEXICO CITY! Truly Magnificent, The Energy That comes through you and your music shall never cease it flow. Thanks on Behalf of Many! At last i bought John’s new album! !I do know i’m terribly in late ,but to be frank with you ,i was running a little bit out of money these days…but i have no excuse ,so before dying from shame these are my last wills(well, i mean my comments! ): this album is really powerful and joyfull: every single musician plays with tough energy and leads his talent and gift to their full extent…That’s just amazing! !I don’t cherish a track in particular because from the beginning till the end of the album i have no time to hold my own breathe.It really sounds that John and his dream team worked will full « complicité »and « fraternité »: …Well you just have to go on like this!!! I purchased a copy of « Now Here This » at the recent Barbican concert and the last track, « Take it or leave it », will not play or rip. Just returning from London to Spain, where I flew past weekend to assist the John McLaughlin – 4Th Dim. concert at the Baribican. Suddenly I found myself crying of joy listening to this group of « magic hommo sapiens » playing this marvelous music, yes I was crying of pleasure and emotion. All of them are exceptional good musicians, but for me John McLaughlin is something more than this. He is really a special person in my life, because the huge amount of hours I have spent listening to his music, from the Mahavishnu, to Sakty, etc. Now he is doing something no less interesting to listen to. God gives you a long and good life John McLaughlin!!! Hope I could see you again in concert. Another gem John. Please come back to the SF Bay Area in 2013. Dear John, Please come to Toronto (Koerner Hall), or Detroit or Montreal so that I can see you play. Please come here annually. We Love You! Great new album! I’ve seen this great band on Nov. 25th, in Bologna (Italy). It has been my third concert of John McLauglin on last 30 years and John is still an excellent musician. 4th dimension have top players, all with excellent technique, but this project is too much rhytmic oriented, at least for me. It should be nice to see him with Remember Shakti or alone with Zakir Hussein or in a double set, one electric and one acoustic. In fact i miss acoustic McLaughlin and i hope to see him soon in my city. Ciao John! Incredible! John just keeps on getting better. Where many jazz greats have become stale keeping on with the same old standards, John constantly pushes boundaries in a futuristic and probing style. Excellent stuff! McLaughlin is one of the greatest of the fusion. I can remember the very day I bought & played « Birds of Fire » and my music conceptions changed forever. I have a dream of seeing him playing with another monster again, Mr JL Ponty in the violin. Maybe one day. Congrats, John. He is one of the good of the fusion, not one of the greatest. For the greatest one has to go to National Health, has to know the band Fred, who contemporarily with the Mahavishnu played differently and just as well using the same instrumentation; has to know Soft Machine, of course, and Catapilla, and Khan; has to have heard Isotope, Bloodline, Henry Cow, the Chilean band Fulano, to be sure, … has to have heard some Happy the Man, the Canadian band Miriodor, has to remember how good and how « fusion » bands like Traffic or Jethro Tull were at beginning of the 70s and earlier -albeit ignorantly labelled as « pop »… A-hem, nt to belabor the point, then can one opine. 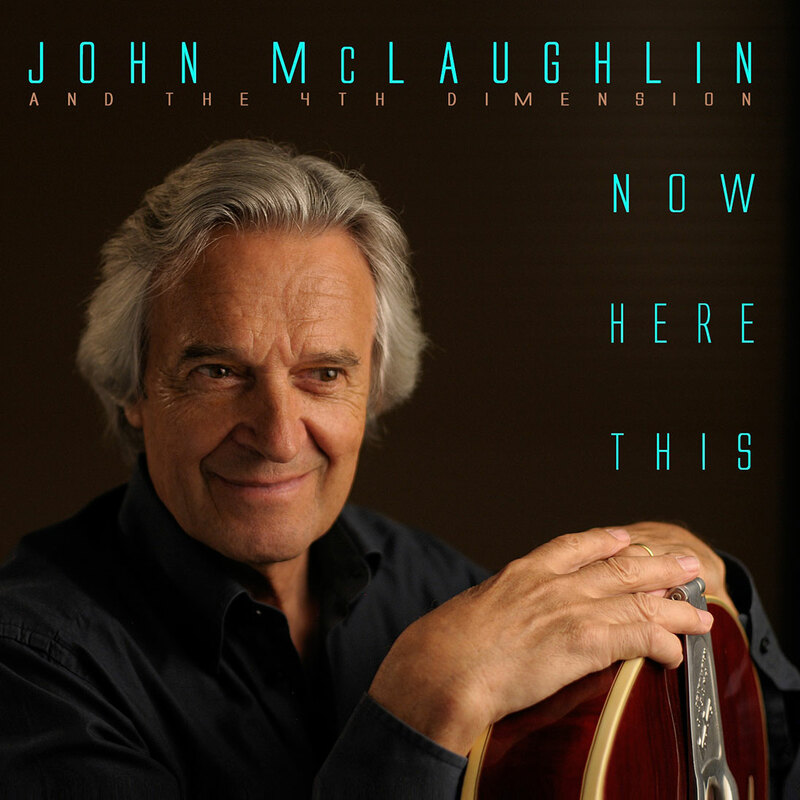 A mon avis, John McLaughlin est devenu un grand musicien en plastique. Il joue bien, est un virtuoso et tout ca. Sa musique terriblemente bien faite. Je m en doute pas qu il laisse son coeur a la jouer. C est en plastique tout de meme, on dirait reactionnaire ou conformiste si on utilisitait des termes anciens. Je prefere son « Extrapolation », ou son disque avec Jack Bruce. Ou Ornette Coleman, si on parle de ca. Tout va bien avec son happy magnifique musique zen en plastique. Ca, c est par pour moi. Dear John,i heard your were happy with this new recording,so am i,except the drum mix cymbals that are far too loud and distract from the music ,i heard that it was like a live conditions recording,but i didn’t notice that on your concerts,despite that, the musicanship is wonderful as usual. In more… Just got « Now Here This » yesterday and can’t stop listening to it. A wonderful glide through music and styles from years ago until today (for me as well…). But what’s really outstanding is the ability to innovate and surprise after all these years of superb creativity. An amazing creation from you John, and from all 4th dimension musicians. Keep on! John, you are an absolute genius. There is no one in the whole world who can make a guitar sound like you do. Since I first heard you and the 4th Dimension on the radio, about a year ago, your music has become my biggest inspiration. Thank you so much! I wish you and your band all the best. I have tickets to see JM and band in Toronto in June, man am I stoked ! John, I have been a follower of yours for over 40 years and your music continues to have the same energy. You are without a doubt the greatest guitarist of all-time. anyone here, catch Mr McLaughlin and company at the Toronto Jazz Festival on June 23 ? His guitar on Pharoh Sanders » the creator has a master plan », was personally the best guitar I have ever heard played oh my ! … the drum duos between the brilliant Ranjit Barot, and the phenomenal Gary husband, were show stoppers and Etieenne MBappe….. catch these guys if you can. i bought » Now here this » at the site can’t wait to open it up ! thank you John and all . Still reeling from last night’s wonderful concert in Aix en Provence (Thursday, 24/10/13) Thanking all the wonderful musicians of Remember Shakti. My partner was very taken with Shankar’s singing – as was everyone in the audience obviously. And close to the end of the concert we heard the exquisite soulful riff from ‘You Know, You Know’ (as in ‘Inner Mounting Flame’ LP: sheer bliss! Magnificent, it’s swinging. Reminds me of some early blues riffs. Go Ahead in 2014 John! John McLaughlin is one of the greatest artists ever in mankind. jumped over the audience in a messmerating way that makes reflect how this humanity with such expression of virtuosity and a language comprehensible without any translation is now killing thousands of disgraced people in Palestine, Uckraine and Congo?, believe me, beyond the differences of credo, political convictions and those from varied cultural approaches, I hope that music like John McLaughlin’s will make mankind to overcome insanity and stupidity. I am pretty sure that the big public figures, (I will no name them!) have no idea of the wonderful universe derived from Mahavishnu Orchestra and the multiple formations John McLaughlin has been creating during these years, if so, they would be more focused at the restless tempo of « trancefusion » than giving shape to obscure ideas on how to extent their oppression. Long live to John McLaughlin!!! That I paid money to have entertainers on my time degrade America. I hope I am wrong. No, probably not at all, Rick. There are few respectful artists like John in the world of entertainment. Moreover, they used to practice silence-minutes in the 70’s, colling down the audience to what was going to come, like a peace ritual. Unless they have changed behaviour and attitude throughout the years, it’s not likely John and his band would disrespect any flag, worse, in its own territory. Thanks so much for the response and I wish you and John well.